Monoblock Full Automatic Water Bottling Machine for Agua Plant CGF32-32-8 | Shine Dew Water Equipment Co., Ltd.
2) High quality stainless steel pumps with totally enclosed fan cooled motors for the water bottling machine. 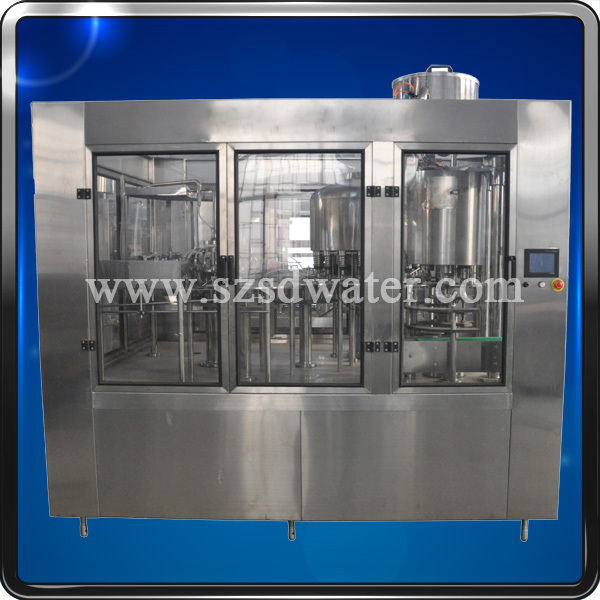 3) The water bottling machine has emergency stop and other safety features provide unparallel operator safety. 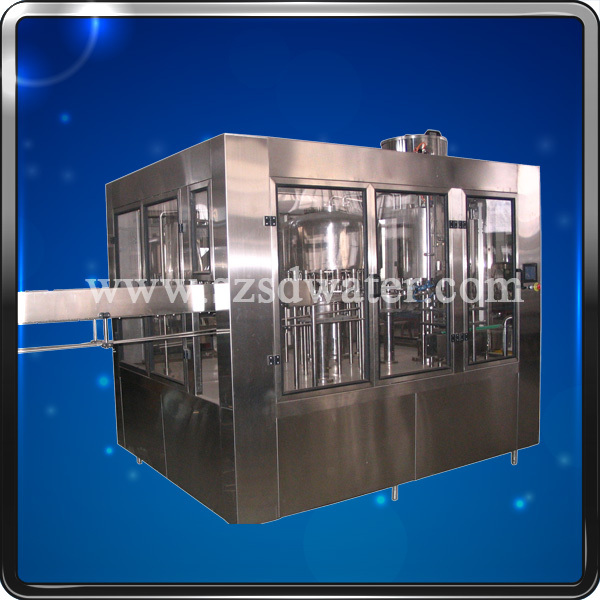 4) The water bottling machine include cap holding bin with rotational cap feeding system for 28/30mm flat caps. 7) Automatically cap ordering for the water bottling machine, cap putting and capping, works accurately for this water bottling machine. F.Y.I. : According to your request, we can adopt air cylinder driving, motor driving; press capping type, Caterpillar capping type; online cap sterilizing device and pump of different brands for the water bottling machine, all of the electronic components are optional for you. 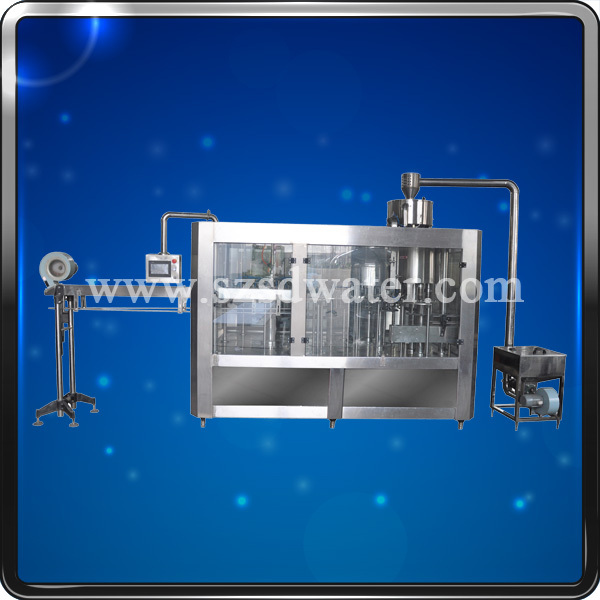 Pls see the technical specification of water bottling machine . 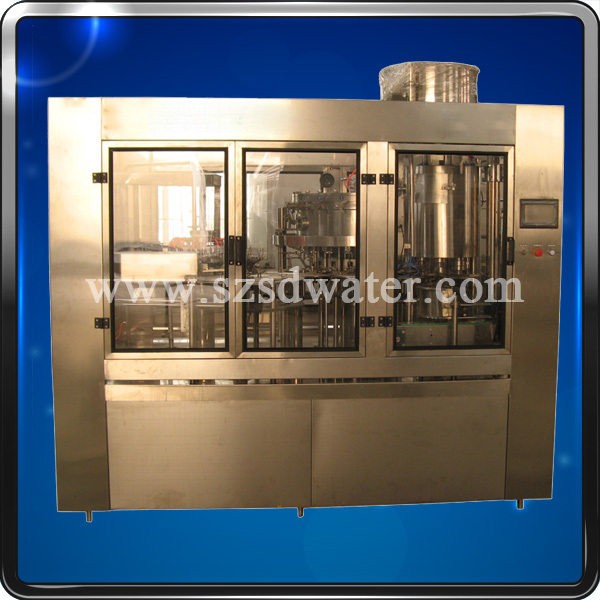 This water bottling machine has both automatic and manual modes. 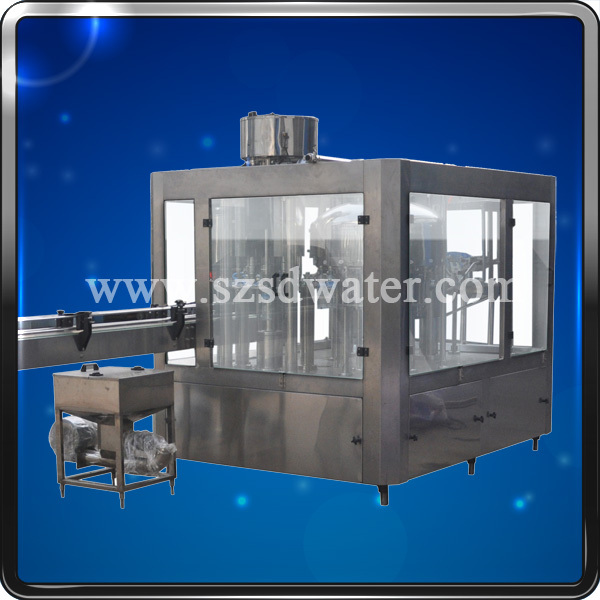 While in automatic mode, the device of water bottling machine operates automatically. It runs when the pure water is at low level, stops at high lever and at water shortage stage automatically. 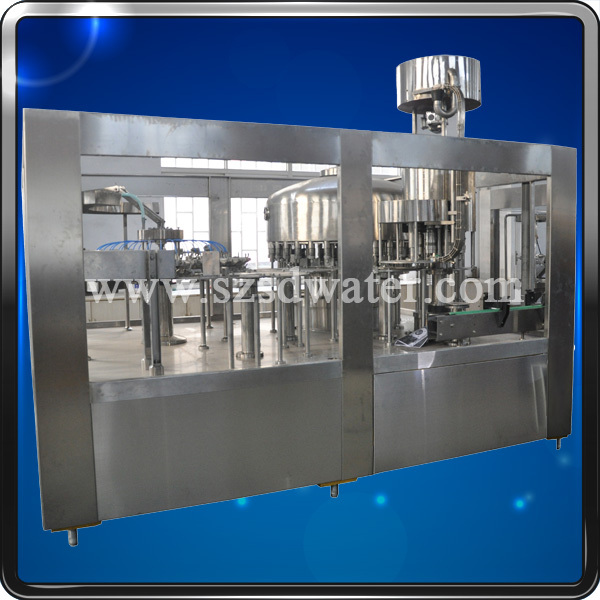 Normally, in order to protect the water bottling machine well, we adopt wooden case to package the machine. Regarding shipping, we prefer sea shipping, due to the weight and volume is large. F.Y.I., Shine Dew has our own Shipping company, Maser international freight transportation agent limited company .Therefore, you an enjoy one-stop service for the convenience in Shine Dew . Regarding warranty, we offer 1 year warranty/3000 hours warranty for water bottling machine, and we also offer lifetime maintenance. Shine Dew Water Equipment Co., Ltd. is a specialized supplier of water bottling machine, drinking water plant, bottled filling machines, labeling machines, package machine and other auxiliary equipments, with more than 10 years of experience in China. Our goal is to assist our customers to provide healthy water and drinks for human beings. 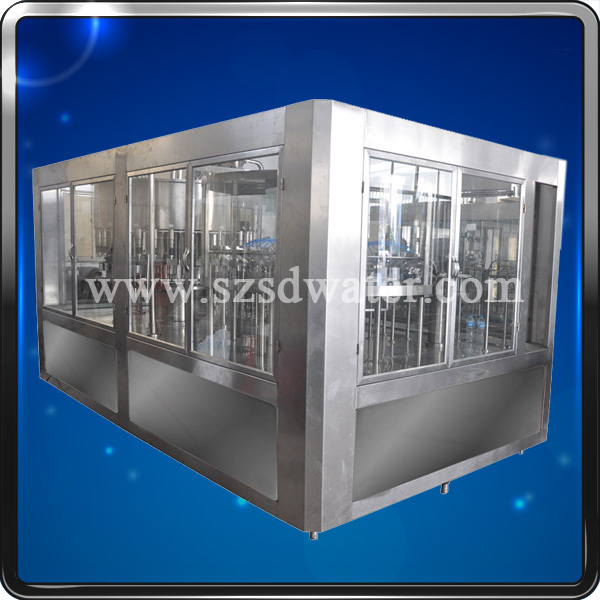 We sincerely hope to develop together with our customers in the field of water bottling machine industry. We welcome your contact via email, telephone and fax. We will always do our best to serve you here.